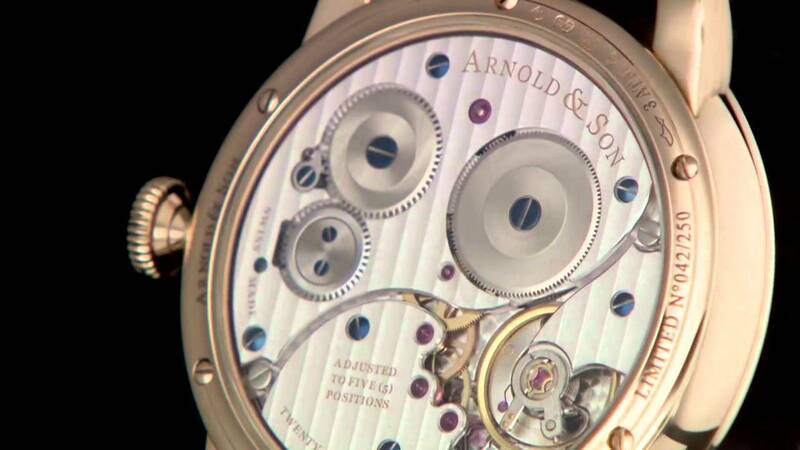 Arnold & Son is a highly productive manufacture. Each time the brand comes out with another novelty, we can’t help ourselves to argue this. But… It is the truth. Just look at all the watches they created last year, each and every one with a unique movement, and you’ll understand that only a few manufactures are able to develop so many new models. 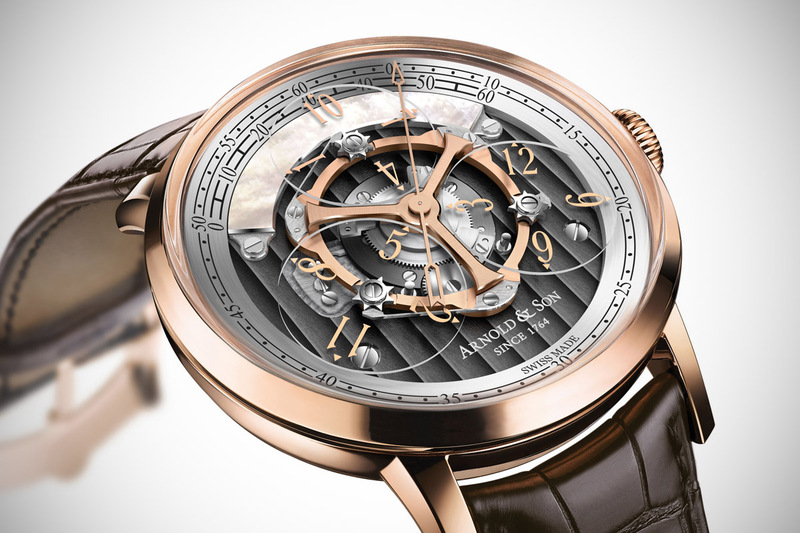 2015 is here and Arnold & Son adds (again) a truly interesting watch to the Instrument Collection: the Golden Wheel. Dead beat second in a chronograph, Double Tourbillon or inspired skeletonized movement… This is just an excerpt of what Arnold & Son can create. What amazed us the most with this brand is its capacity to create innovative, complicated and never-seen before watches. Displays are unique, finishings are extremely good and all of the watches share an interesting British elegance. The collection might be impressive, the lineage between the A&S watches is clear. 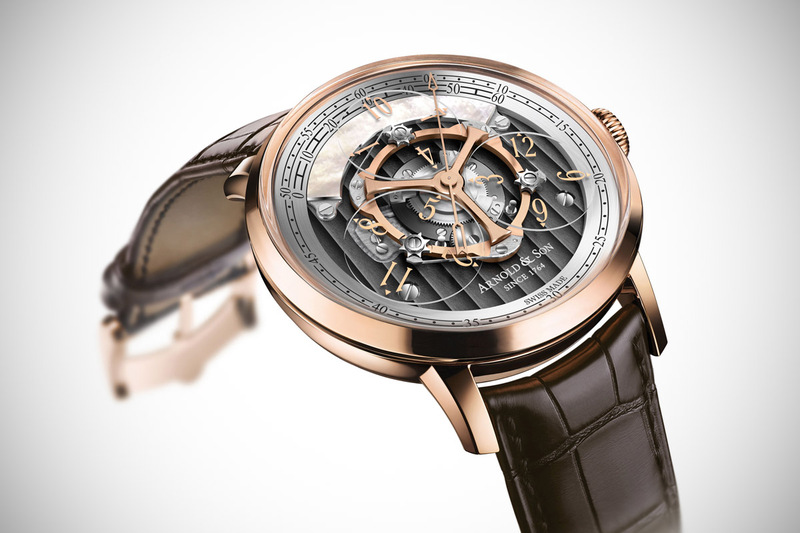 The new addition to the collection, the Golden Wheel, uses an unusual display with all the typical codes of the brand. The Golden Wheel combines the first-ever wandering hours function with the true beat seconds complication. 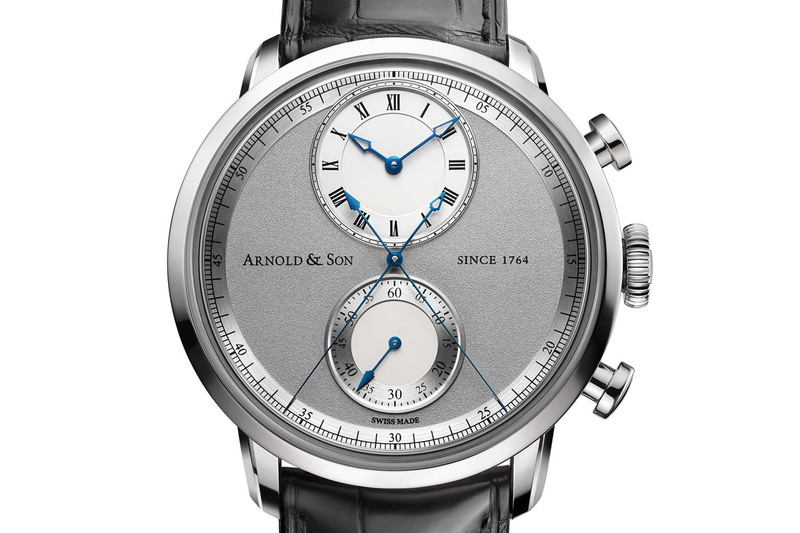 Once again, Arnold & Son provides a highly complicated display with a legible and elegant visual interpretation. The manufacture movement was three years in the making from concept to development. The wandering hours function, also known as a jumping digital hours indication, occupies the top arc of the watch dial (from 10 o’clock to 2 o’clock). It is composed of 3 sapphire discs that rotates first on a central axis and then on their own axis. 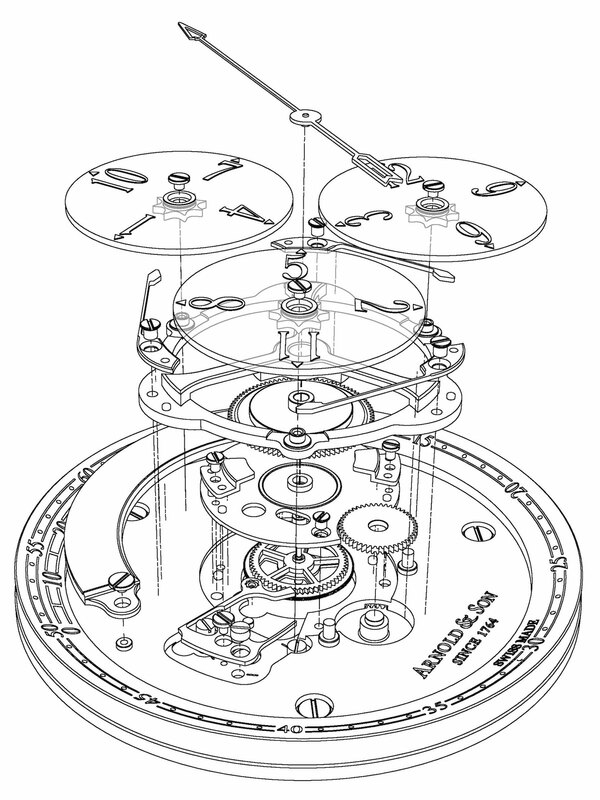 The hour numeral is used as a pointer for the minutes when running on the top arc. 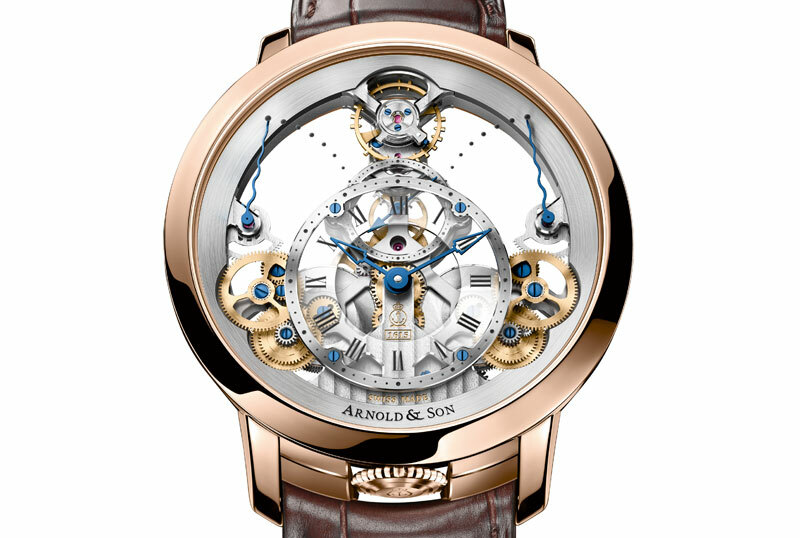 On the top, Arnold & Son fills the time-carrousel of the Golden Wheel with a true beat seconds hand from the central axis – adding visual complexity and elegant motion. The central time-carrousel is crafted in solid 18-carat red gold – giving its name to the watch. The top arc on which the hours are running is made of mother of pearl. Beneath the technical elements sit the main plate of the movement, a grey coated dial finished with straight Geneva stripes. Talking about finishings, the rest of the movement is also decorated to Haute Horlogerie standards: hand-chamfered bridges with polished edges, fine circular graining, rayonnantes Geneva Stripes, circular satin-finished wheels and blued screws with bevelled and mirror-polished heads. The automatic movement beats at 28.800bph, comes with a skeletonized rotor and boasts 50 hours of power reserve. The Golden Wheel comes in a 44mm case made of 18k red gold and a brown alligator strap. It will be a limited edition of 125 timepieces. 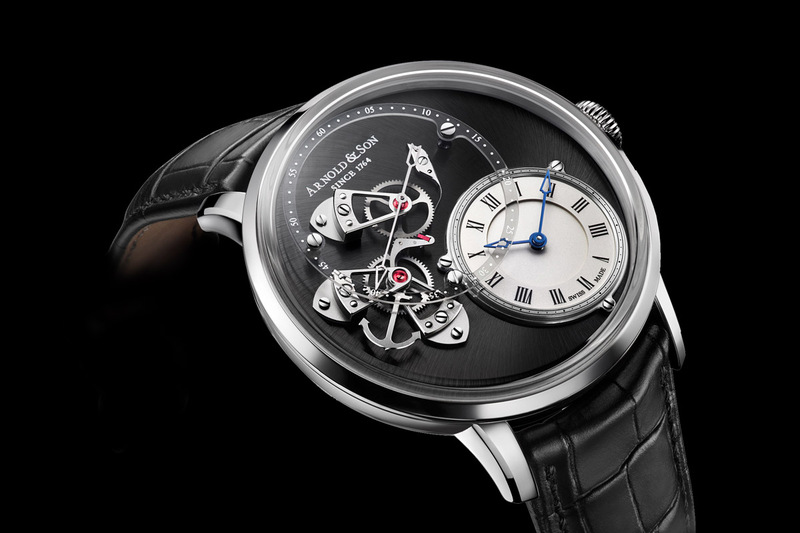 More details on Arnold & Son official website.